» Grupo Therrestra contributes with renovations for the Moca rehabilitation and correctional facility. Grupo Therrestra contributes with renovations for the Moca rehabilitation and correctional facility. Aiming to renovate and improve the facilities hosting the La Isleta Correctional Facility and Rehabilitation Center in Moca (CCR), Therrestra contributed with the renovations of several of its structures. The correctional facility, thanks to its reinsertion model, is the #1 penitentiary facility nationwide, featuring 680 inmates, and approximate headcount of 180 employees. 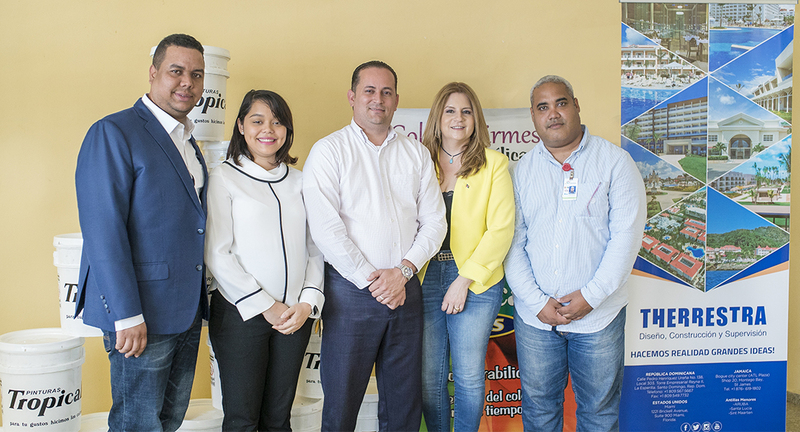 Therrestra representatives, Angel Paulino and Beatriz García, alongside media personality and deputy mayor of Moca, Judith Valdez, partook in the formal event, alongside Albin Lantigua, representative of Pinturas Tropical, whom also contributed with the renovations. The CCR warden, Bernardo Henríquez, thanked all for the donations and showed their support towards the center’s new phase.